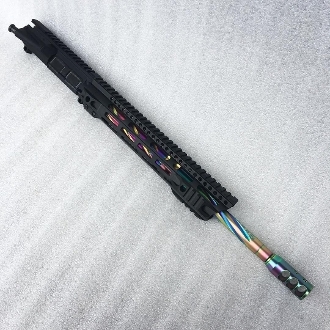 This is a custom upper with customizeable options for your Ar15. You pick the options from the menu, and we'll put it together. 24" barrel has no threads on the muzzle, so no brake for it. We have to build these to order, so it may take a couple days to assemble and test, etc. Your order gets your spot in line. The inventory in these options isn't always live so there's a chance we run out and have to get another batch done.